The field of medicine has come a long way since its inception, but even after so many years, it hasn’t managed to replace one traditional field of medicine, and that’s chiropractic care. Chiropractic care is becoming increasingly popular as people are getting familiar with its effectiveness. 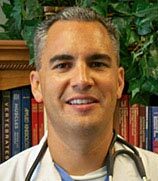 Experts like Dr. Aaron Richardet promote the philosophy of chiropractic care for overall wellness. According to this philosophy, our body has the innate ability to heal itself without any medications. The goal of chiropractic treatment is to achieve healing by regulating and maintaining a stable condition for our body. Many types of research and studies have proven that chiropractic is safer and more financially feasible when compared to other treatment alternatives. Although not many have an in-depth knowledge about this field of medicine. 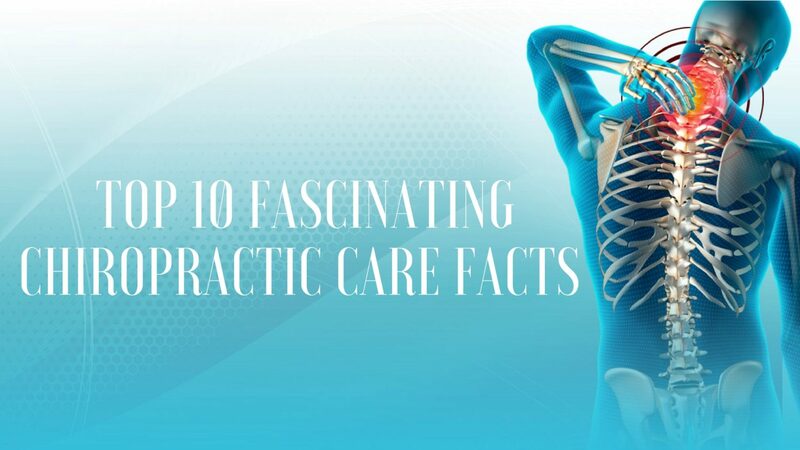 For the uninitiated, here are 10 facts you did not know about chiropractic care. There are certain people out there who have experienced a whole lot of physical and mental trauma and torture in their lives. Trauma survivors experience a number of conditions like pain, depression, PTSD, and other horrible long-term problems. The Boston University School Of Public reports that some forms of complementary and alternative medicine such as massage and chiropractic care may be used as a part of the treatment for helping torture and trauma survivors. Chiropractic care as a profession has been around for 120 years, but the principles that it is based on are not new. On the contrary, the ancient Greeks and other early civilizations used spinal manipulation as a form of healthcare. Hippocrates, the Father of Western Medicine stated that “physical structure is the basis of medicine” and went into great detail concerning the importance of spinal health for overall well-being. Patients often wonder whether a thin sheet of paper used on the chiropractor’s table actually helps to protect patients from contracting germs and infections. In 2011, it was found that chiropractic clinics are extremely clean. Most chiropractors are proactive with disinfection and the paper sheet used to cover the table is an effective barrier. While most reputable chiropractors like Dr. Aaron Richardet are highly proactive in ensuring a clean environment, through the use of disinfectant, they also use the protective paper to ensure optimal safety of patients. It is interesting to note that chiropractors don’t just adjust parts of your spine without taking the core issue into consideration. If you have ever visited a chiropractor, you must have noticed that they touch and feel the spine, ease it around a little, possibly to test the muscle strength. They knead and press parts of your spine to figure out what points are tender and throbbing. This step will help them understand the underlying problem rather than just fixing the initial wave of pain that the patient suffers from. In the end, they carefully choose the particular spinal segments to adjust and offer the right attention and care. The specific segments that chiropractors choose to adjust will often have corresponding muscle tightness and tenderness if moved about too much. This could also lead to the joint experiencing an abnormal movement. These abnormalities, among others, indicate the presence of what chiropractors call a subluxation. The Amish might without a doubt reject many of the modern conveniences people enjoy, but you cannot deny the fact that they embrace the natural approach to maintaining good health. It is no surprise that this has lead to an acceptance of complementary and alternative medicine in the Amish community. You should never permit an untrained individual to treat your spine. Chiropractic adjustments require a whole lot of care and expertise. Only experts like Dr. Aaron Richardet can provide your spine with the motion and manipulation required to bring about the best results. You need to understand that every nerve in your body is connected and doing anything that will misalign it may cause major complications. Most athletes tend to seek the help of chiropractic care to maintain optimal performance. Athletes choose chiropractors because they are movement specialists. Even top athletes such as Michael Jordan, Tiger Woods, Michael Phelps, Tom Brady, Evander Holyfield, and many others have been proud recipients of chiropractic care. These days it is very common for athletes and sports teams to keep chiropractors nearby to help avoid injuries. They can also help in speeding up the recovery process, improve balance and coordination, which gives them an edge over their competitors. Many elderly people out there are still not familiar with the concept of chiropractic care. They need to know that this field of medicine can provide them with effective pain relief and it can also help in increasing the range of motion, balance, coordination, and also decrease joint degradation. Even infants or children can benefit from chiropractic care. Chiropractors check the infant’s movements after birth for any misalignment of the upper vertebrae that may occur as a result of the birth process. Furthermore, apart from supporting the overall health and well-being, parents take their children to chiropractors to encourage healthy brain function and nervous system development, to assist with colic, asthma, allergies, bed-wetting and sleeping problems, and also to assist with behavioral disorders. People need to understand that chiropractors have vast knowledge, experts like Dr. Aaron Richardet can also give advice on nutrition, fitness and more. Chiropractors will even refer you to other practitioners if they believe that it is necessary. This is because a chiropractor’s training is very similar to a typical doctor. Vision impairment does not make a person incapable, and a shining example of this fact was Dr. Charles Robinson Johnson. In 1918, when he was 39, Dr. Johnson graduated from the Palmer School Of Chiropractic and became the first blind chiropractor and one of the most successful. For over 25 years he practiced in Peekskill, New York and had a well-traveled reputation as a miracle healer, seeing hundreds of patients every single week. If you are planning on getting a chiropractic adjustment, you should definitely consider Dr. Aaron Richardet. Choose chiropractic care and heal your pain the natural way!